I am a big fan of your book “Drawing the Line” but now have a teen (with ADD & dyslexia) and dealing with issues that aren’t addressed in your book, such as lying and setting curfews. Have you written any articles regarding parenting teens, or do you have any recommendations for books that advocate a similar parenting style for teens? Hi Anne, I do have a couple of books that I think are great, but don’t have the titles right in front of me. Also, I’m going to be loading up commentaries and some TV episodes that I produced that address some of the teen issues. I will get back to you on all of this. In the meantime… hang in there! The teen years will pass (and sometimes can even be wonderful!!). More to follow. I am a former special education teacher, who- when I was laid off again- started an web based program with video modeling, social stories and a photo dictionary. I know you speak on this subject- so I am writing to ask if you could take a peek and provide some feedback. The website is http://www.spectrumkeys.com. If you email me at info@spectrumkeys.com I can give you a password. Thank you for a great presentation last nite. As promised per our conversation above is my email address. I’m an ardent reader of your books and am fascinated with your insights of the sub-conscious mind that seems to play a role so important to our lives. I have a severe problem and I need some help. During my sleep at night I talk with anger. I am either defending against some attack or abusing somebody else. Apparently the anger shows up on my face, even while I am sleeping. I hardly remember any dreams. This behavior has been narrated to me by a few people but I began seeing it as a problem only when my physician- nephew once shared my bed and brought it to my attention. He was very concerned. Normally I sleep alone, unless we have too many guests and there is lack of space. My wife sleeps upstairs in her own bedroom. Some nights she comes running down when she hears my angry outbursts. This has been going on for the last 3 to 4 years, as far as I know. I have been calling on psychologists but so far have not received much help. I’m 71 years old, married with 3 grown up children. I was born in Calcutta, India. Presently I am an US citizen. I have been living in San Diego since 1989. I wonder if you could suggest some medical help, recommend someone or accept me as your patient. What would the cost be like? nice work Michael, hope to see more soon….. Rob ricks…. How are you? Haven’t seen you in soooooooooo long. Remember MIke Geoff and Jenny from NH? Hey, a little slow in getting back. Spending too much time working and studying. Going to nursing school. Send me an email at rousseau.barbara33@gmail.com or call or text me at 603-858-1442. Geoff is living in CT now. We have a lot of catching up to do!! Look forward to hearing from you!! 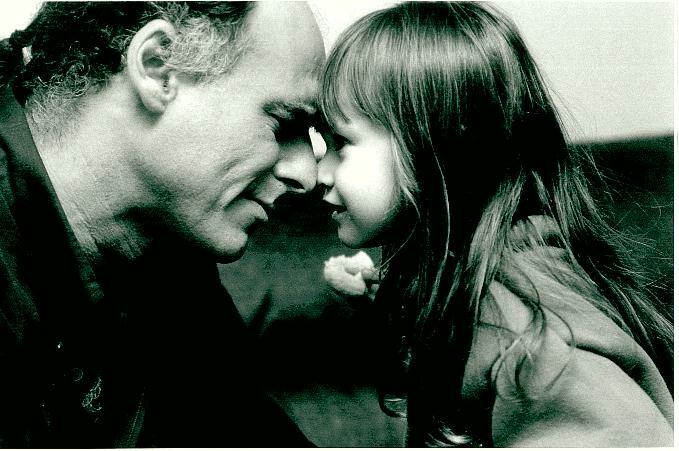 Hi Michael – So many years ago you taught me one of the most important parenting lessons I ever learned. I just shared it on my blog and thought you might like to see what I wrote. I linked it back to this site too so people could find your site as well. I ran into this page by accident but it gives me the opportunity to say hello and I hope all is well with you and your family. I am looking for your information that you presented at the CDSC conference on ipad apps. The good the bad and the ugly…. We have a 9 year old son with down syndrome who is an ipad wizz and we are looking to keep it fresh for him…… We also met at the pop arts ball in Old Lyme last year….Thanks so much for your help. My husband and I are huge fans of yours. We were very excited to find this website so that we could express our sincere gratitude for the excellent work that you have done. We were fortunate enough to have found your wonderful show called “Real Families” many years ago when we were new parents. Having come from two very different parenting backgrounds and my lack of exposure to children prior to having my own, your show was an important part of our family. Thanks to the very practical and effective ideas, we have managed to raise two wonderful children who are now ages eighteen and fifteen. They are both thriving in school and have become two amazing people. In fact, we are regularily being told by teachers, friends etc. about what great kids we have. We truly give your show the credit for helping us be loving yet firm parents. We found that by being firm, loving and consistent, just like you teach, it has made the teenage years easy. We will continue to recommend your show now that we know that they can be accessed on this site. Keep up the great work! Thank you Sue and Mark. The work I’m involved with is often complicated and stressful… sometimes feeling like you are working “without a net” in that me and the others in our group are seeing aspects of kids’ development that is truly novel or rare. Some days, I just can’t get it right. Fortunately, most days I/we can really be helpful. That all said, I really appreciate your kind words.